Church of Saint-Hilaire, Poitiers (Vienne). 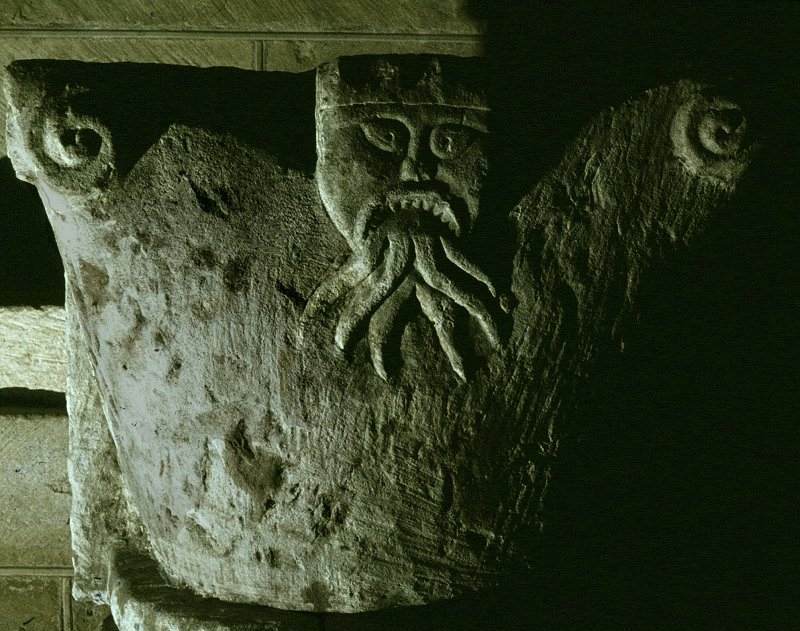 ...and a magnificent toothy 13th-century snake-spewer at Ballintubber Abbey in county Mayo. Click to see the pair of male and female exhibitionists elsewhere in this church.